New Homes - Lamon and McDaniel Builders, Inc.
New Construction is the main part of our company. 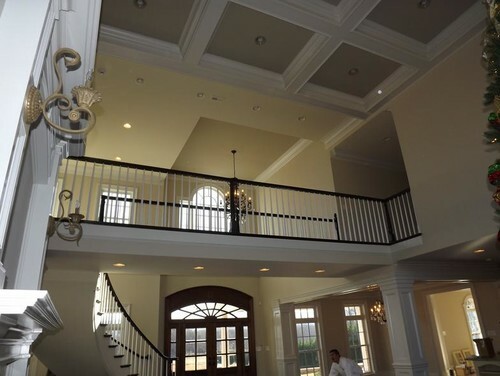 We do our very best to ensure that building your new home is a pleasant experience and one that delivers a home that exceeds your expectations. Whether you want a small cottage home, or a large spacious family home, you’ll find our goal and mission is to provide quality workmanship and outstanding service at a competitive price. Traditional Family Room by Maryville Home Builders Lamon and McDaniel Builders, Inc. If you have plans, or an idea of the house that you would like to build, please contact us. We’ll be glad to sit down with you and gather your thoughts and ideas, plus share a few of our own with you. We’ll also provide you with a complete estimate that includes a complete break-down of materials, labor, and allowances. Traditional Exterior by Maryville Home Builders Lamon and McDaniel Builders, Inc.